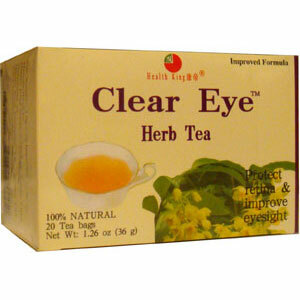 Clear Eye Herb Tea provide dendroxine, dendramine, amino acids, calcium carbonate, etc. Traditional Chinese medicine uses them to nurture the eye and pacify the nervous system, protect retina, and improve eyesight. Nurture the eye and pacify the nervous system, protect retina, and improve eyesight.